What Capability Features are Available With the Ram 1500? 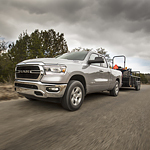 The Ram 1500 is a popular light-duty pickup truck among consumers because it comes with a number of innovative features that enhance your driving experience. Let's have a look at a few of its capability features below. The 1500 comes with the available class-exclusive Active-Level Four Corner Air Suspension System. This suspension system offers enhanced efficiency and reduced drag by automatically lowering when the truck is traveling at highway speeds. A family minivan is more than just a way to shuffle the kids around from one location to the next. Instead, it is a place where memories are made, family road trips are taken, and fun is to be had. This is one of the main reasons so many come back to this model of car year after year. That is why we here at ALL STAR DODGE CHRYSLER JEEP RAM of Denham Springs is so excited to announce the arrival of the all-new 2019 Chrysler Pacifica! The Jeep Cherokee has long been one of America's favorite SUVs. 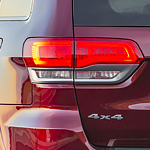 After years of the same look, in 2019 the Jeep brand totally reinvented the Jeep Cherokee. 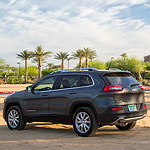 Its revamped exterior is one of the most exciting changes to the Jeep Cherokee in years. The Jeep Cherokee's front end has been redesigned. It's more aerodynamic. The headlights are smaller and more efficient. They deliver much better visibility. The grille has a more modern, honeycombed look. Overall, it's a more contemporary and athletic look. How do your auto-dimming mirrors work? 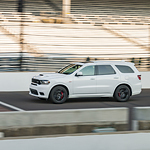 We here at ALL STAR DODGE CHRYSLER JEEP RAM understand the importance of being an informed driver so that you can make the most of your vehicle. Features such as an auto-dimming rearview mirror can help to make night driving safer, but how does it work? 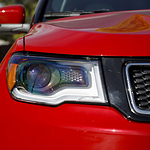 Auto-dimming mirrors make use of sensors that detect light from other vehicle's headlights. These sensors can either be a camera or a photodetector. A microprocessor controls these sensors and is designed to send an electrical charge to the electrochromic gel. What's Under the Hood of the Jeep Compass? Whether you're looking for a new vehicle for your daily commute through Denham Springs or want something that can handle off-road adventures, consider the new Jeep Compass at ALL STAR DODGE CHRYSLER JEEP RAM. This popular compact SUV is powered by a robust engine that's built with efficiency and performance in mind. It can provide you with plenty of power to get you through the day. Under the hood, you'll find a 2.4-liter MultiAir 2 engine. The engine maximizes intake manifold pressure. It also manages the combustion cycle as you drive. We at ALL STAR DODGE CHRYSLER JEEP RAM understand how important capability features are to our customers. 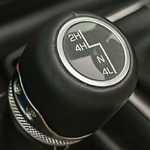 These functions add a sizeable amount of value to the vehicles that have them and make your driving experience significantly more enjoyable. For this reason, we recommend giving the 2018 Jeep Cherokee some serious consideration. Here are two of the most impressive features from the manufacturer's latest offering. 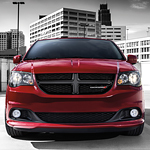 Where will your Dodge Grand Caravan take you? We here at ALL STAR DODGE CHRYSLER JEEP RAM understand the importance of finding the right minivan for your family. Whether you're spending the day in Denham Springs or headed out on a road trip, fuel efficiency can play an important factor. 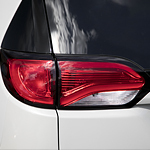 We're excited to introduce some of the features of this popular family minivan. With 17-inch all-season tires, your 2018 Dodge Grand Caravan features low rolling resistance wheels that that cut down on the amount of fuel used on trips. Also, they help to reduce CO2 emissions and energy loss from tire rolling.